There are many myths about the potential risks or perils of the out-of-body experience – OBE or astral projection. Most of the time, these stories about the possible perils had a very clear objective: to scare people so that they wouldn’t develop this natural ability. 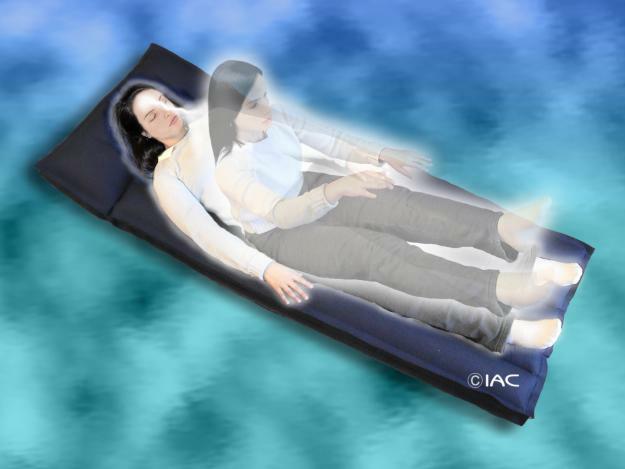 Are there any risks to the Out-of-Body Experience or Astral Projection? Can Astral Projection Kill You? Can someone cut or sever the silver cord while we are in the middle of an astral projection? The silver cord forms part of our energetic body, and it’s the energetic connection that maintains our physical body connected to the astral body (or psychosoma) when we are having a projection or astral travel. The name “silver cord” is perhaps not the best name to define this energetic link, as it sometimes creates confusion. Because of the energetic nature of this link, it cannot be broken, cut or damaged with any physical object. It would be as if we tried to cut the rays of the sun with a pair of scissors. We could then say that it’s a completely unfounded fear, and there have been no accounts throughout history that anyone has gone through biological death because their silver cord had been severed while projected. Is Astral Projection Safe? Can someone enter our bodies while we are projected? There’s also a bit of misinformation regarding the possibility of someone else taking over our bodies while we’re projected. 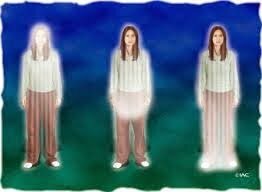 Every night, when we go to sleep and the physical body is relaxed, the astral projection occurs naturally. Whether we want to or not, or whether we’re conscious about it or not, this is a fact. This means that every human being experiences the astral projection every night, while the physical body is asleep and the person is recovering physically and mentally. The consciousness disconnects from the physical body, and projects in the astral body, so that it can have experiences in other planes and extraphysical dimensions. When we wake up in the morning, it is ourselves who wake up in our own bodies and not someone else. How to Overcome Fear of Astral Projection: Can we get lost in the other dimensions while we are in an astral projection? Another fear that is widely talked about is that while people are having an astral projection they could get lost. It may be quite common that, while projected, people find themselves among strangers and unknown places. However, if we have never been to those places before or met those people, it is then logical that they will be unknown to us. This doesn’t mean that we will be trapped in that place or environment, or that we will get lost in it and won’t be able to come back into our body. Coming back to our body is not difficult at all. In fact, it’s the easiest thing to do in an astral projection. Most of the time we go back to our physical body a lot sooner than we would have wanted to. It could even be an inconvenient issue, since we would come back to our body well before the experience is finished, and we would feel frustrated because we hadn’t been able to control the situation. As you can see, getting lost in the astral plane is practically impossible. Any physiological need or change that occurs in the environment where our physical body rests can bring us back to it because of the strong pull of our energies and silver cord. We can conclude that when we are in an astral projection the dangers are fewer than when we are in the physical body. In physical life we can be hurt, attacked and be killed in an accident. This, however, cannot occur during an astral travel. The biggest risks of the astral projection are the lack of information and the lack of control. The broader our knowledge about astral projection, about which planes or dimensions we can access, which beings we can meet and how to deal with all of it, the easier it will be to conquer fear. It will also allows us to have better control over the astral projection every time, and to obtain benefits that will allow us to know ourselves better as beings on the path of evolution. IAC – International Academy of Consciousness (Madrid, Spain). I would like to trigger a lucid dream to see what its like to experience it because I’ve heard that its the best thing to ever come across almost feels like its better then reality itself. 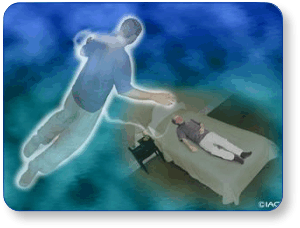 I’ve had conscious astral projection before, it was amazing. But what blew my mind was I walked down my street, and I could feel, hear, and see everything. What’s kinda odd for me is this projection has happened a couple a times and I always return to my body at the same time and spot, My body always sinks into my bed and I launch up a bit. Then there was this one that I can’t explain for the life of me. I live in Maine and my favorite cousin moved to Florida. I took a nap mid day and when I thought I opened my eyes I was in a really warm environment and felt like I had been there before,even though I had no idea where I was. I started walking down this dirt road into a trailer park I’d never seen before. I took a couple turns and walked to a trailer and looked up, when I did, my cousin opened the window and yelled my name in shock, she then turned around to come outside, thats when my body then sank into my bed and I launched up sweating and my heart was racing, I thought it was just a wild dream, but I got a call from my cousin not even ten minutes later asking me if I’m in Florida because she could of sworn she saw me. Is it possible to project enough energy to be seen? Or any other reason she would of seen me? Hi Cliff,it is indeed possible to project with enough energy to be seen by others plainly. However, it’s very rare. It’s mkre likely your cousin was in a relaxed state, and was sensitive enough to clairvoyantly see you or feel you. Great that you got this confirmation for yourself! Well done! Why do I feel wide awake as I am snapping out of it? I also feel the oxygen rushing from my head to the rest of my body and my heart is racing, what is that? The other day I had a very lucid dream of a lady either on her death bed or she committed suicide but it was the saddest thing I have ever experienced.